To create "toast" notifications (small popup messages that appear at the bottom right on Windows) the NotificationWindow class can be used. NotificationWindow will only work in out-of-browser mode, if you try to show a notification when running in-browser a System.InvalidOperationException is thrown. In Silverlight 4 we can present HTML content to the user. The user can navigate to links, right-click and open in new tab (which opens up tab in a full web browser), view source, etc. To use the WebBrowser the Silverlight app must be running out of browser (OOB), if you view when embedded in a web page (i.e. not OOB) the control displays a message saying that it can only be used in Out-of-Browser mode. Using the new WebBrowserBrush (previously HtmlBrush in beta 4) we can use the contents of a WebBrowser to fill another element. The following example uses WebBrowser.NavigateToString which allows a string of HTML to be rendered rather than a page at some Uri. The example creates a simple html button which uses window.external.notify to pass a message to the WebBroswer control via it's ScriptNotify event. Silverlight 4 allows us access to right-click functionality, in earlier versions of Silverlight right-clicking would bring up the standard SL popup menu. The ContextMenu is available in the Silverlight Toolkit. The XAML below declares a simple popup menu with 2 menu items: Open & Save that when clicked both fire the same event handler. The namespace (xmlns:toolkit="http://schemas.microsoft.com/winfx/2006/xaml/presentation/toolkit") must be declared - if you drag and drop something from the Toolkit the namespace will be automatically added. 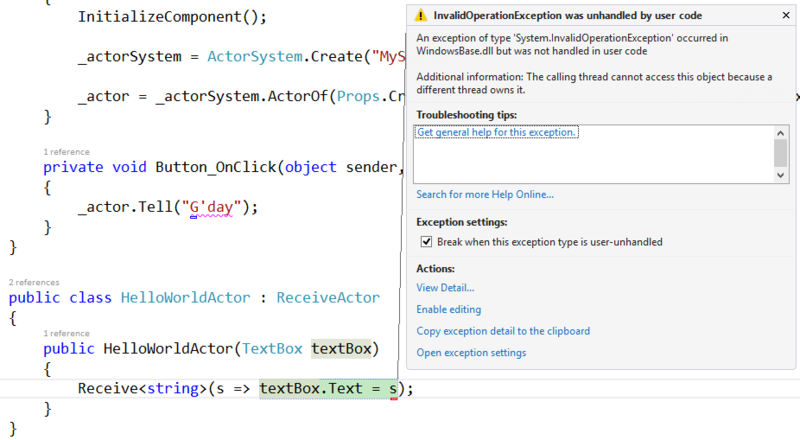 Silverlight 4 added the static Clipboard class with the clearly-named SetText, GetText and ContainsText methods. If running in-browser or out-of-browser without elevated trust the Clipboard methods can only be called as a result of user actions (such as Click, KeyDown). The first time a method is called, a security prompt is presented to the user asking them to grant the app access to the clipboard. If the user selects 'No' a SecurityException is thrown. If the app is running out-of-browser with elevated trust, the above dialog is not shown and the Clipboard methods can be called even if not in response to user initiated events such as in your page constructor, in a DispatcherTimer.Tick event, etc. // Assumes we want to prevent the user from copy 'nothing' to the clipboard. Various properties are avaible on the PrintPageEventArgs that are passed to the PrintPage event handle ('args' in the above example); args.HasMorePages allows you to control multi-page printing and args.PrintableArea allows you to get the printable page area you have available to you (which will depend on the settings chosen in the print dialog box that is shown automatically for you. It is up to the developer to handle more complex scenarios such as overflowing contents, knowing if there are more pages required, etc. In an enterprise situation other PDF-scentric options may be a better choice, especially if there are complex report layouts required, etc. For example, using iText.NET, FOP, or an enterprise solution such as Thunderhead, xPression, etc.